Small business interests and the merit shop construction industry were mostly well-served by Maryland legislators this legislative session. Here’s a breakdown of bills ABC supported and passed, opposed and were defeated, and those we still must convince the Maryland legislature they do more harm than good. Those with an asterisk* below were priority issues for ABC and given the most attention during the session. This is the Governor’s bill that would have repealed the legislation adopted last year dealing with how transportation projects are prioritized and approved for funding. ABC supported the Governor’s efforts to repeal the bill. A compromise was ultimately reached which creates a study group to analyze the impact of the law on transportation planning and funding and would sunset the law on December 31, 2019 if no further action is taken. This bill offered by the Governor establishes a 10-year income tax credit for specified manufacturing businesses if the businesses increase employment and offer ongoing job skills enhancement training. It also includes a tax credit of $1,000 for employers placing employees in registered apprenticeship programs including ABC. The bill would codify the VPP to provide ongoing sustainability for the program from year to year. It is an incentive based initiative which ABC strongly supported. The bill would have required a myriad of new information in job announcements including the minimum rate of pay, how the pay is calculated, and eligibility for overtime. It would have created more bureaucracy and administrative costs for employers. The bill would have required contractors or subcontractors performing work on a construction project on a state-owned building or facility to employ only workers who either have completed or are enrolled in a registered apprenticeship program or are paid at least journeyman’s’ wages for the appropriate trade or craft. The bill would have increased the cost of this work and may have restricted the ability of merit contractors from working on these projects. This was an attempt to require prevailing wage on private sector projects. This is fundamentally opposed to ABC’s position on prevailing wage. ABC opposed the bill as it was yet another attempt to expand prevailing wage requirements onto private sector or non-public works projects. The bill is similar to the recent Obama Executive Order increasing the salary threshold for employees eligible to receive overtime from $23,660 to $47,476. This would have created a huge fiscal impact for employers in our industry. Would have increased filing fees for companies with assets of $100,000 to $150,000 to $1,500 (currently $300), companies with assets of $150,001 to $200,000 to $3,000 (currently $300), and companies with assets over $200,000 to $4,000 (currently $300). The bills would have enabled community colleges to offer registered apprenticeship programs, tuition free to residents of Maryland. While the legislation addressed the classroom requirements, it had no plan for the On-the-Job training requirements which is an integral part of any registered program. This legislation needed much more work before being rolled out in the form of legislation. The bill would have added a number of items to be included on an employees’ pay stub to the point that changes in accounting systems might have been needed to accommodate the requirements of the legislation. Most of the information being added is already available just by asking the employer. The bill would have made general contractors jointly and severally liable for any unpaid wage violations committed by its subcontractors and the subcontractors’ subcontractors. The legislation would have required that contractors working on a public works contract pay prevailing wages to sheet metal fabricator apprentices and workers employed off the job site at the contractors place of business. The bill would have been impossible to enforce. The bill would have required the State to adopt statewide building codes concerning fire safety features for specified buildings over three stores that are constructed with light frame combustible materials. ABC argued that the cost of the regulations would have a dramatic increase on the cost of affordable housing and were without justification. The bill would have phased in the minimum wage to $15.00 per hour by fiscal year 2024. ABC continues to oppose changes in the minimum wage requirements. The legislation would have overturned the recent change in the journeyman to apprentice ratio of 1-2, one journeyman to two apprentices, approved by the Maryland Apprenticeship Training Council for the Independent Electrical Contractors (I.E.C.) ABC opposed the bill as it preempts the action taken by MATC which is responsible for approving industry ratios and would have prohibited ABC following suit sometime in the future. The legislation would have required the Labor Commissioner to develop a safety and health calculation worksheet to evaluate the safety and health performance indicators for contractors and subcontractors performing work on a public work contract valued at $100,000 or more and develop a safety and health rating system to specify additional measures that the contractor or subcontractor is required to implement. Much of the information being asked for is already required during the submission of a bid. Additional penalties were also part of the legislation. The bill would have subject contractors to lawsuit by their employees for recovery of wages, including the possibility of treble damages and counsel fees. ABC argued there already exists a procedure to resolve these types of issues. The bill would have dramatically changed the criteria by which individuals can be classified as independent contractors. A bad bill for the construction industry. The bill mandates that employers with 15 or more employees must provide 5 days of paid leave. The legislation does include a preemption provision which will prohibit all county and municipal governments from enacting their own version of the law. Unfortunately, it does not affect the Montgomery County law which will remain in place. The bill expands the type of work that employers are required to pay the 25 cents per hour per employee into an apprenticeship type program (including ABC). These are projects that have some state money committed but are not public works projects. It was another attempt to get prevailing wage type requirements on private work. Even though the bill will likely generate more revenues for ABC training programs, the philosophical opposition to putting this type of requirement on private work caused ABC to oppose. 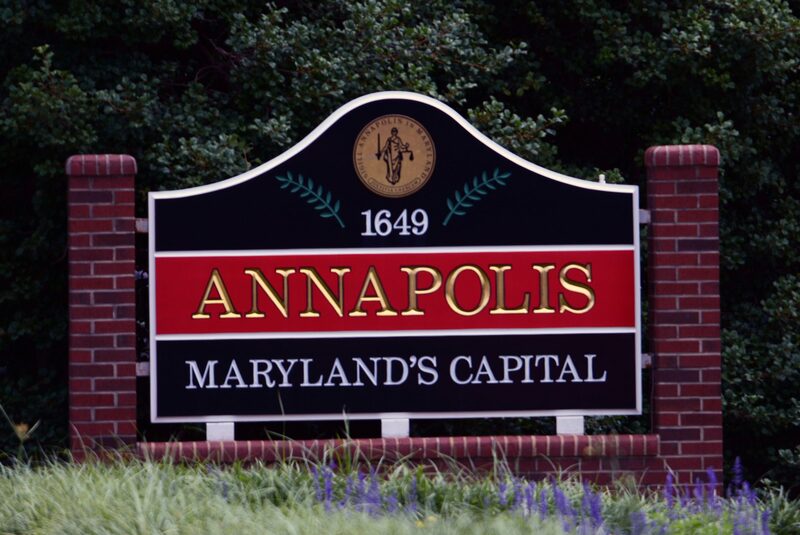 ABC argued that supporting Maryland to become a right to work state would place the state in a more competitive situation and is a fairness issue for employees having the right to determine whether they want to be represented by a union. ABC members are often approached about hiring ex-offenders. The construction industry has a history of supporting this type of hiring practice. These bills would have provided some additional protection to the employers who are willing to take a risk by hiring returning citizens.